It’s horrible when your days and nights are interrupted by tooth pain. It ruins your sleep, hinders your appetite, and causes unnecessary anxiety at times. So why does your tooth hurt and what is causing the pain? Luckily, our Glen Allen dentist is a phone call away to help diagnose the pain. You’ll be back into your regular routine in no time. As the dentist Glen Allen patients trust for the restorative dentistry and dental implants, put your oral health care in our hands. Your tooth pain could be due to a cavity, which requires just a simple filling. However, other issues could be the cause of your discomfort requiring a dental implant, bridge, or dentures. If we find at your appointment that you need a dental implant, know that you’ll be under great care. Our Glen Allen dentist is highly skilled and experienced in providing dental implants to our patients. We use the latest in dental technology and sedation in order to make you as comfortable as possible. A dental implant is an artificial tooth which is necessary when a permanent tooth has been compromised because of an injury or accident. The old tooth is removed and the implant takes its place. The consequences of not seeking help from our Glen Allen dentist when you experience tooth pain can be significant. When a tooth is missing or damaged, it can cause teeth to move out of place, TMJ issues, and even dangerous infections throughout your body. Surrounding teeth move into the space changing the alignment of your bite, and creating a possible need for braces. 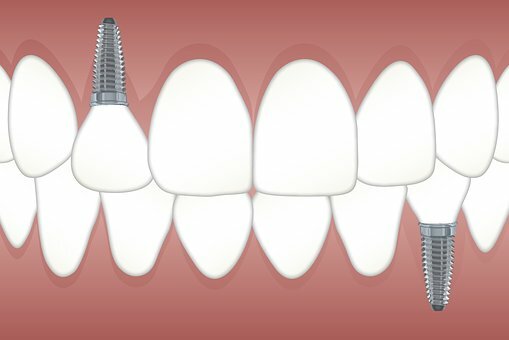 A dental implant is made up of a post that we surgically implant into the bone of your jaw. The post is topped with a crown which looks identical to your natural tooth. Cleaning a dental implant is no different than regular brushing and flossing. We recommend you keep regular appointments with our Glen Allen dentist so that we can monitor any changes to the implant. If tooth pain has you distraught, give our Glen Allen dentist office a call right away. Whether you have a minor or major issue, we can help. We provide a comfortable environment for your dental care and have a number of available services to keep your smile looking great. Don’t hesitate to call our team. The more damage and decay your tooth and smile will experience when you delay getting help. For more information regarding our services, visit our Facebook page or give us a call.